Designed from the inside out and offering all-around comfort and performance. The new @FootJoy Fury boasts an impressive list of features. 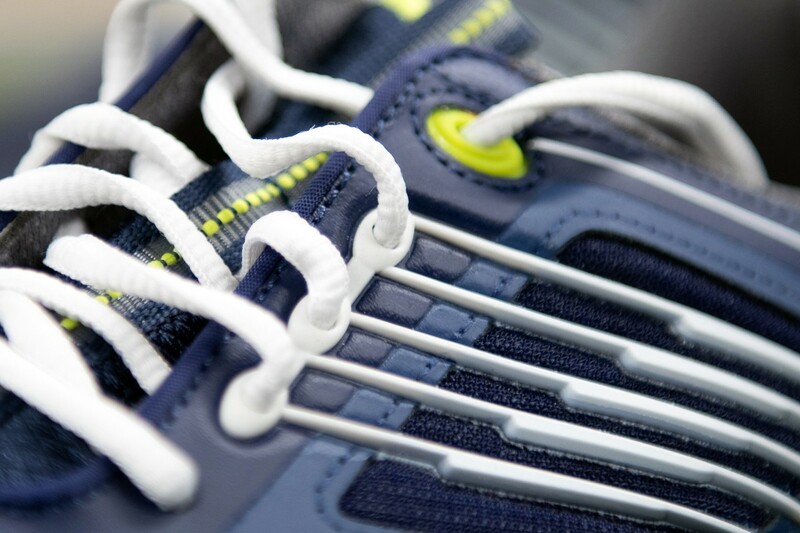 Designed from the inside out and offering all-around comfort and performance. That bit above is how FootJoy describes Fury, the latest offering in its Performance Golf Shoe category. 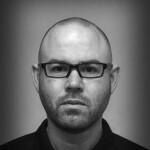 For those who spend more than $80 on golf shoes, FootJoy almost invariably succeeds in checking both the performance and comfort boxes (the latter requiring golfers to wear the right size, which is more complicated than it should be), but it’s how the shoe looks that seems to be what gets everyone talking. Eye of the beholder and whatnot; feel free to discuss Fury’s beauty among yourselves. As far as performance goes, Fury boasts an impressive list of features. A revamped tongue-less system similar to what you’ll find in other lineups, the one-piece foot sleeve provides a more secure fit. 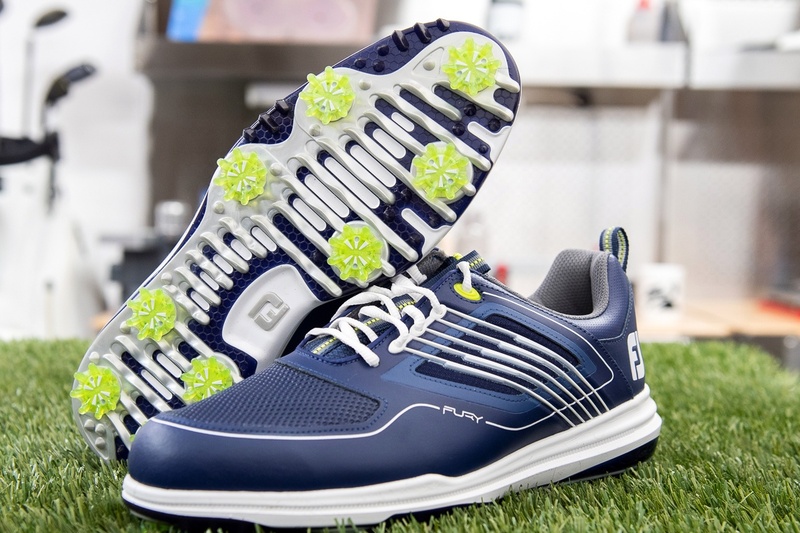 Unlike some of those others, FootJoy hasn’t overcooked its implementation of the design to the degree that it’s a struggle to get your damned foot in the shoe. FootJoy’s Cage system provides additional structure to increase lateral stability during the golf swing. Layers of different density foam provide the comfort story. 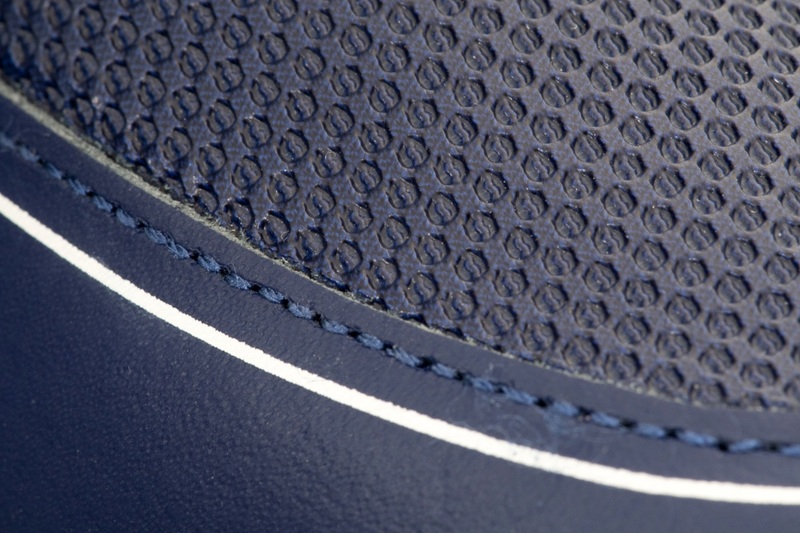 FootJoy says the material maintains its mechanical properties and cushion throughout its lifecycle. The bottom line is that, unlike your $600 mailorder mattress, the Fury’s insole won’t be permanently indented after 6 months. Described at athletic-inspired, the Fury has a bit of a tennis shoe/sneaker look to it. The upper is full grain leather paired with a vented breathable toe. The vented portion is coated to maintain waterproofness. Fury is a spiked golf shoe, so it should come as no surprise that the outsole is designed for stability and traction. 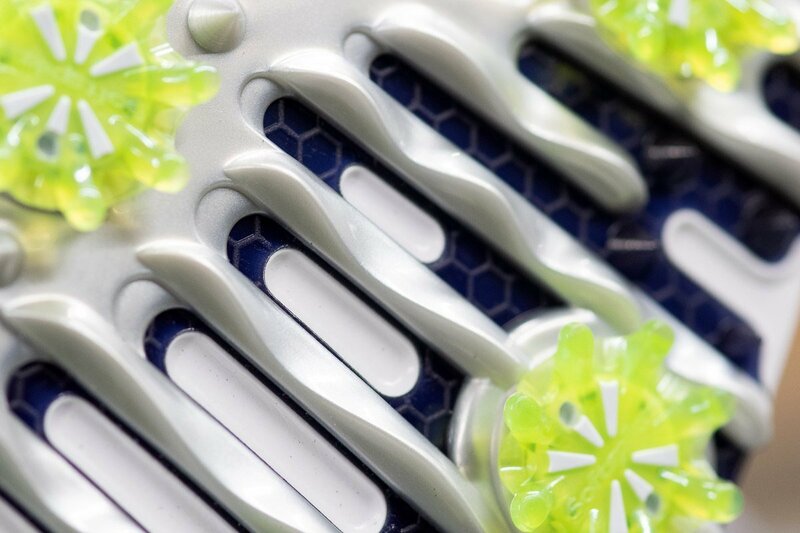 An FTF+ (Fine-Tuned Foam) midsole provides comfort, while the “liquid metal-inspired” flex layer of TPU pairs with Pulsar cleats to profile flexible, green-friendly traction. 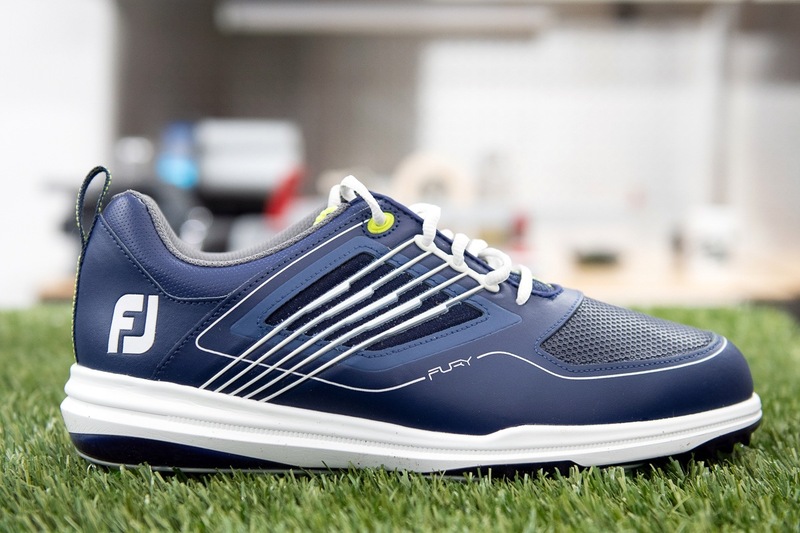 As what likely amounts to a fresh take on HyperFlex, Fury is a bit of a tweener in the FootJoy lineup. It’s not exactly classicly styled like the Icon or even the DNA. It leans modern, but it isn’t quite as tilted as the FreeStyle. Faults aside, that one remains my favorite FootJoy shoe ever. Here’s hoping Fury serves as a reasonable compromise until FootJoy sees fit to give me the FreeStyle replacement I keep asking for. The laced version of the FootJoy Fury retails for $190 and is available in White/Red, Navy/White (pictured), Charcoal/Lime, Black/Red. A BOA® version is available in White/Navy/Orange for $220. Whomever hired the Sketchers designer reject that ruined the S/L Pro and thought this unicorn afterbirth was a great design, needs to be fired immediately before they relegate put FJ in financial turmoil. if it isn’t a Footjoy Icon, who cares at this point? How can these be waterproof yet have a breatheable toe? Gortex does exactly that. Maybe they use something similar? Umm… I may be in the minority (doubt it), but this shoe looks cheap and ugly to me. I’ve never been a huge fan of FJ designs, but this is a step backward from the most recent offerings IMO. I’m sure it’s a great shoe that’s comfortable and performs well, but I wouldn’t touch it w/ a 10 ft pole; not when there are far more appealing options out there. Cheap, wait 6 months Carlsland will have them at 40.00. I owed the last cheap shoe FJ put out. Same cheap P leather, sole left the show in 2 months. I used them only at the range. Thanks Tony, I’ve been curious if this shoe was supposed to be a Freestyle replacement. I’ve been wearing minimal or zero-drop shoes for nearly 10 years now. Also being a walker and playing nearly 90 rounds a year, I need a comfortable and durable shoe. The Freestyle has ticked all those boxes for me and been the best shoe I’ve ever played in. When you find a suitable Freestyle replacement, Please let us know. Until then, I’ll have to keep searching eBay and outlet stores for my next pair of Freestyles. Damn…….. now if these had been spikeless I would have reached for my Master card and bought the navy and white but might ask them for a black and white…… oh well will have to look elswhere!!! I too really liked the Freestyle but the stock of 7.5 MED in a men’s shoe is like finding a unicorn. I ordered two pairs of the Fury, and like you, I hope it they are solid replacement of my favorite shoe…..ever.